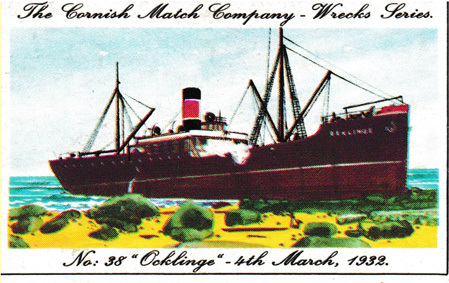 On 3rd March 1932 this steamer was towed into Falmouth with damaged steering gear bound to Port Talbot with iron ore from Bilbao. 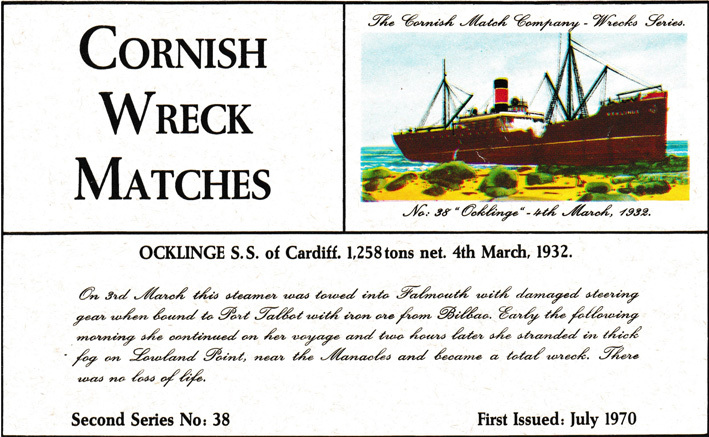 Early the following morning she continued on her voyage and two hours later she stranded in thick fog on Lowland Point near the Manacles and became a total wreck. There was no loss of life.